Before Babywoods was born, everyone and their mother warned me that my life would never be the same. According to these doomsdayers, after I had a baby I would lose all of my time, money, hair, and sanity. And I’ll be honest here, they weren’t entirely wrong on that last one. But what Mr. Frugalwoods and I have found over this past year and a half is that parenting is far less dire than pregnancy scare-mongering led us to believe. We are still very much the same people with very much the same interests, resources, and faculties–just with the addition of a wonderfully talkative, bubbly, active toddler. Yes life is immensely different, yes it is harder (though funnier) to fly on an airplane, yes there is avocado in my hair right now–but despite all this, we didn’t subsume our former selves into parenting. Rather, we’ve layered parenting on top of, and in addition to, our lives. What we’ve discovered is that parenting doesn’t need to occur to the exclusion of everything else. Parenting Myth #2: I Will Have No Free Time. Ever. Today I want to address that other, arguably even more precious resource: time. 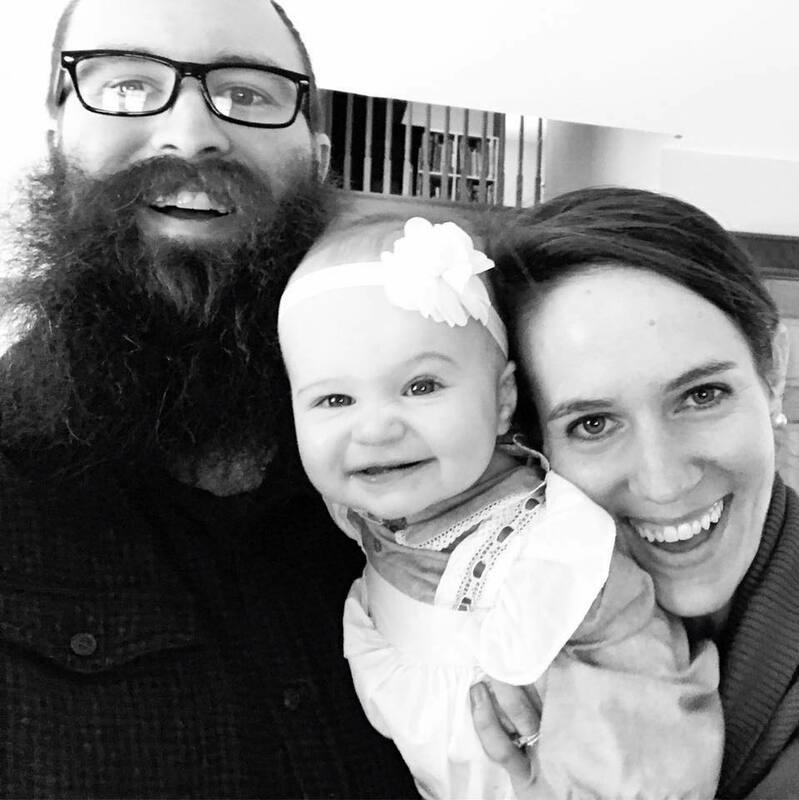 Since achieving financial independence was all about enabling us to pursue our passions, it was paramount to Mr. FW and me to find a tenable approach to parenting that fulfills both us and our daughter. In summary: it is 100% possible to accomplish stuff while also caring for your child full-time. How, you wonder? I’m so glad you asked because I’ve written a veritable tome on the topic today. The example I use throughout this post is working/homesteading, because that’s my experience, but the tenets are applicable to any stay-at-home parent who wishes they had more time to devote to personal projects such as crafting, gardening, exercise, cooking, meditation, reading, etc. The black and white dilemma modern parents have grappled with for decades is to either: 1) have one parent leave the workforce to stay home with the child(ren), or 2) pay often exorbitant prices for the child(ren) to go to daycare/hire a nanny. Some families are fortunate to have free (or drastically reduced) childcare provided by grandparents or other extended family members, but most often, parents assume they’ll have to choose between door #1 and door #2. The challenge with this is that frequently, neither parent wants to absent themselves from the workforce for reasons of their longterm career trajectory, the fulfillment they derive from their job, and/or financial imperatives. However, they’re then on the hook for spending what can amount to the totality of one parent’s entire salary on daycare. I am here to say that there’s a third door. A less well-known door, a less well-traveled door, and one that’s a bit unusual. But it works. And that door is… working at home with a baby. Sounds impossible and some days, it is. But thanks to the internet and the rise in careers that can be conducted from home, the ability to work while child-rearing is–or could be–a reality for many families. I take this unorthodox third way in all of my financial decisions and I knew childcare would be no different. Just as Mr. Frugalwoods and I eschew conventional wisdom on how much things should cost, or how little you should save, or how difficult it is to become financially independent, we also eschew the standard limitations our culture imposes on working vs. raising children. I say, do both if you want. Hard to believe this was only a little over a year ago! Of course no post on parenting is complete without a set of caveats. First, I want to recognize that Mr. FW and I are tremendously fortunate to be able to structure our work from home as we do. Not everyone has this option and I fully realize how privileged we are. Additionally, we work because we enjoy what we do–not because we need the money. This is the extraordinary privilege of financial independence. As longtime readers know, my husband and I didn’t inherit money or come into lottery winnings; rather, we saved extraordinarily high percentages of our salaries for years and invested in a revenue-generating rental property and, more importantly, the stock market. If you’d like to initiate your own extreme frugality regimen, take my free Uber Frugal Month Challenge. My parenting philosophy is that everyone should do what works for them. Every family is different and every kid is different. Only you know what’s best given your circumstances. I share stories of how we parent–just as I share stories of how we manage our money–to offer insight into our alternative approach to life. I am not a parenting expert (not by a very, very long shot, which is why this post includes links to parenting books I’ve found useful). I don’t seek to condemn other ways of life. Relevant to this conversation, I have no animus towards those who choose to be full-time stay-at-home parents or full-time working-outside-of-the-home parents or any configuration therein. There is no right or wrong here, merely a diversity of ideas on how to raise the next generation of young citizens. 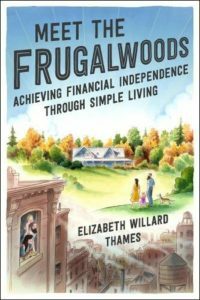 As with everything else we discuss here on Frugalwoods, my opinions are borne of personal experience and are but one option in the plethora of lifestyle options. We don’t do budget shaming here and we certainly don’t do mommy wars. Let me explain what exactly it is that we do. 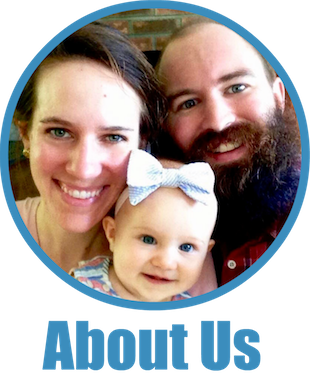 Mr. FW works full-time from home for a traditional organization, which means he works regular business hours. Conversely, I work exclusively for myself and as a freelancer, which means I have no boss (except myself!). Hence, my schedule is 100% flexible, which is paramount with a baby (since they are mercurial little creatures prone to requiring doctor’s appointments and snuggles in the middle of the day). 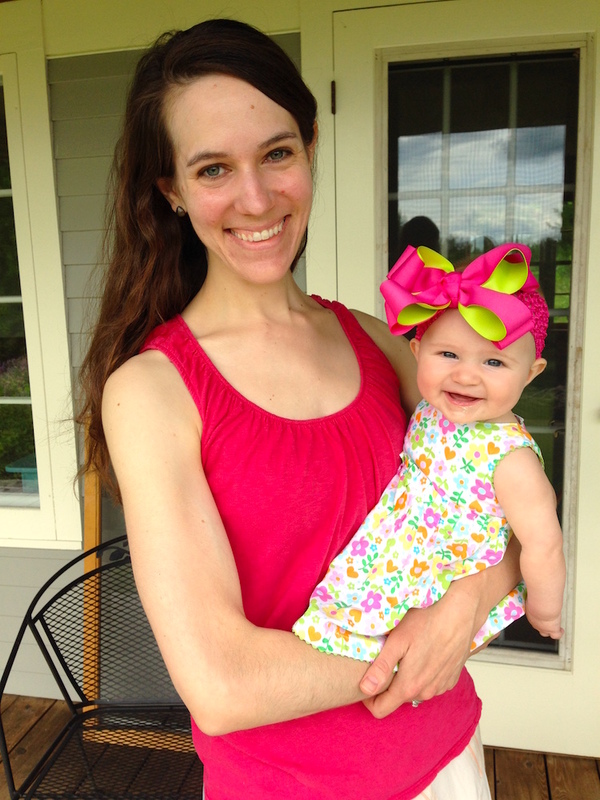 We chose this schedule because I wanted to quit my 9-to-5 and be the primary caregiver. While this might, at first blush, appear to conform to traditional gender roles, I assure you nothing about our relationship is conservative or regressive. Mr. FW and I are both feminists committed to an egalitarian partnership and it was my express desire to transition into this role. Since Mr. FW works from home and thus has no commute, he’s able to do the heavy childcare lifting in the mornings and evenings, which frees me up to write or get other chores done (or sometimes go into my office, close the door, and do yoga while listening to him read “Barnyard Dance” to Babywoods in the next room). This is not a typical arrangement and I don’t pretend that everyone can finagle this with their employer, their skill set, or their career. However, an increasing number of employers are allowing employees to work remotely and there’s a burgeoning class of jobs one can freelance or side hustle or whatever you want to call working for yourself in an entrepreneurial capacity. I also want to note that I built up my freelance work prior to staying home with Babywoods, which made the transition easier. However, you could also do so after welcoming a child into your family. If you’re interested in working as a freelance writer like I do, and aren’t sure where to start, I recommend my friend Catherine Alford’s course: Get Paid To Write For Blogs. Sidenote: please, please, please do not get yourself into a multi-level marketing scam of a situation in an attempt to work from home. Don’t buy products that you will then have to sell because you are tremendously unlikely to make any money from this. For more information, here’s an entire website devoted to exposing the scams inherent to these types of organizations. She’s a lot bigger now! 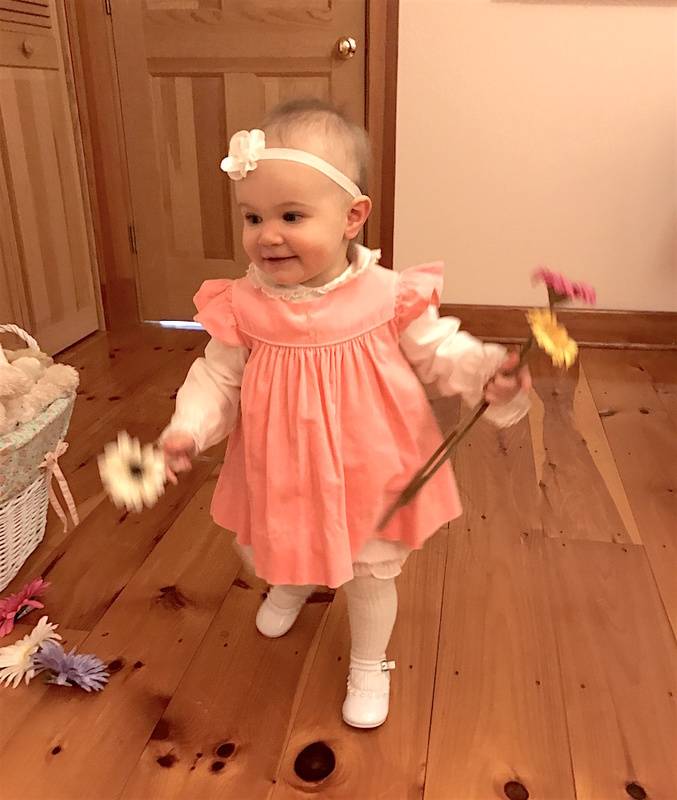 Every month–nay, every week–with a baby is different and our schedule as a family has altered many times in the 17 months since Babywoods’ birth. What worked when she was an infant doesn’t work now that she’s a walking toddler and I’m certain what we do now won’t work when she’s in pre-school and kindergarten. 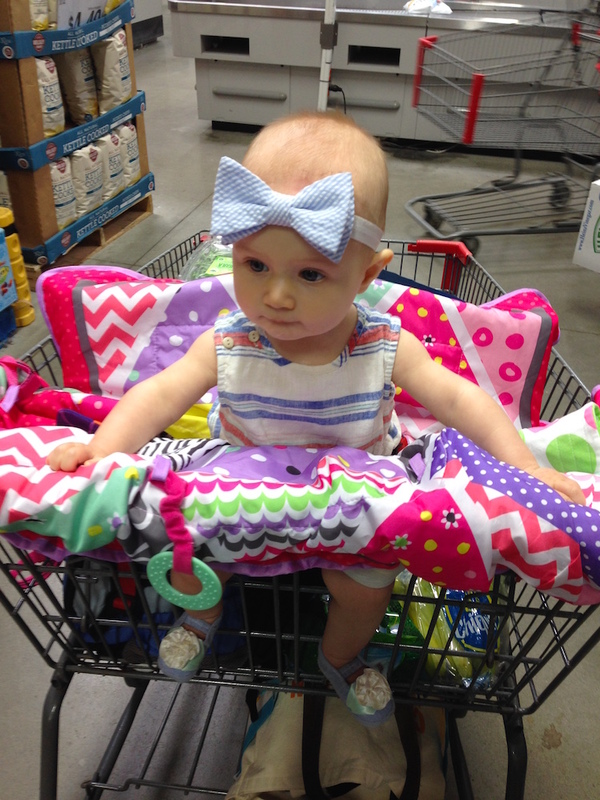 We adapt to her needs, her developmental stage, and her schedule. 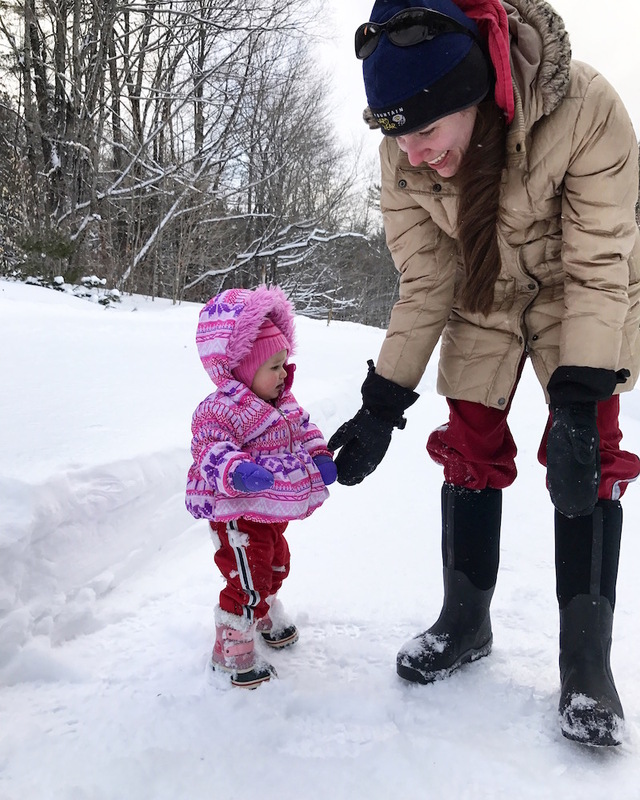 But throughout, I’ve been able to maintain my work (along with the notable event of moving to our homestead when she was five months old… ). Just as my frugality adapts and morphs with each new iteration of life, so too does my work-at-home and parenting process. It’s also true that our experience thus far is with one child. If we have more children, our schedule will certainly metamorphose yet again. The key is that we have a set of guidelines to follow no matter how our family grows or changes. Books I find useful in tracking developmental changes: What To Expect The First Year and What To Expect The Toddler Years and Touchpoints Birth to Three. Ok, ok, now that the caveats and explanations are out of the way, allow me to outline how we’ve made this atypical arrangement tenable. I include the word “ruthless” for good reason: my prioritization is without any ruth whatsoever. Pre-baby and pre-frugality, I tried to do everything perfectly, on time, and while wearing fabulous clothes, makeup, with curled hair and painted nails (toes too). Now? I shower daily and wear (somewhat) clean clothes. That much is an accomplishment as far as I’m concerned. Note that I did not mention brushing my hair. Everyday I do only what’s most important to me. Subtext: there’s a lot that doesn’t get done. However, I am 100% ok with that because, just as I only spend money on the things that matter most to me, I only spend my time in ways that are meaningful to me. I could afford to send my daughter to daycare and I could afford not to work, but I keep her at home and I work because those are the things I want to do. Being financially independent is all about doing what’s meaningful to you–not what other people think you should do or what society says is the correct/only path. 2) Naptime is work time. No matter what. Babywoods mercifully still takes two naps a day (down from three, but I’m thrilled with two!) and that’s when I do 95% of my writing. Since she naps at roughly the same times everyday (mid-morning and mid-afternoon), I carefully plan and prepare for those naptimes. As soon as Mr. FW or I settle her into her crib, I’m on my computer, typing away (for example right this very minute… ). My grocery store chore helper. I find it’s nearly impossible for me to get (good) writing done while she’s awake because it’s too distracting to type coherent sentences with a toddler careening around the house saying “GOOD GIRL!!!! !” to the dog at the top of her lungs (one of the more hilarious phrases she repeats). I plan out all of my writing projects in advance so that when blessed naptime comes around, I’m not hemming and hawing, messing around on Facebook, and fiddling with my email. I’m writing. This means I stick to an editorial calendar (nothing fancy, I just use a free Google calendar) for everything here on Frugalwoods as well as my freelance and volunteer work. I find that brainstorming topics, invoicing, editing photos, etc ahead of time frees up naptime for the mental investment of writing. I also prepare my physical environment in advance of naptime. For example, I make my lunch while I give Babywoods her lunch. I put her highchair in the kitchen so that we can chat while I cook and she munches. That way, as soon as she hits that afternoon nap, I don’t have to waste time making lunch. I pull my salad out of the fridge and sit down at my computer. I even make my thermos of decaf coffee pre-nap. I resist the urge to do household chores during nap unless I absolutely must. 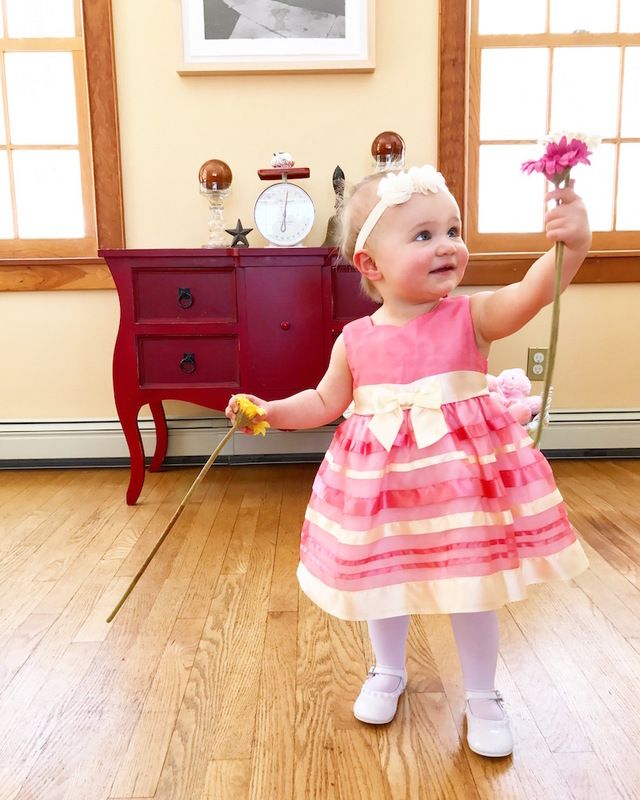 I’ve found that Babywoods is a great chore companion–we sing together as I unload the dishwasher, we chat while I load the washing machine, she plays upstairs with me while I put clean laundry away, she follows me around with her baby-sized broom as I sweep, and she plays outside in the yard with us while we do homestead chores. By keeping naptime as my sacred writing time, I’ve been able to maintain all my pre-baby writing gigs and even add several large projects (such as the Uber Frugal Month Challenge :)!!). I love to write, it’s my passion and my calling and I feel tremendously fortunate that I get to do it everyday! I’ve found that I get more actual work done during naps than I ever did pre-baby. Why? Because I know my time is limited and so I don’t mess around online. I work with laser beam focus because soon enough, I’ll hear “mama! mama! hi! hi!” from the crib and my time will be up. Nothing engenders productivity like the enforced time limit of naptime work. A note on infant naps: when Babywoods was an infant (circa 0-4 months old), she napped on me and so I’d nestle her on top of my hand-me-down My Brest Friend wedged securely with a pillow in between me and the kitchen table. She’d nap and nurse as I worked on my laptop. Alternately, I’d put her in an infant carrier (I have a hand-me-down Ergo as well as a hand-me-down Moby Wrap) and she’d sleep or rest on my chest while I typed away. I sit on an exercise ball and, with her in the carrier, I’d lightly bounce up and down while I worked, which she loved. 3) Bedtime is also worktime. Babywoods goes to bed circa 6:30pm every night and Mr. FW and I eat dinner at 7:30pm. I use that hour to finish up the writing I started during the two daytime naps or respond to emails or sometimes, do yoga. Other times, Mr. FW and I have a date night and play Scrabble or relax and chat. 4) Set your own bedtime and stick to it. Mr. FW and I are sticklers for going to bed early and on time every night. I’ve found that less sleep does not mean I get more done in a day. It means I’m groucho-mama and far less productive. Sleep is essential to, well, everything. 5) Live by a schedule. As you’ve probably gleaned, we live by schedule and routine in the Frugalwoods household. 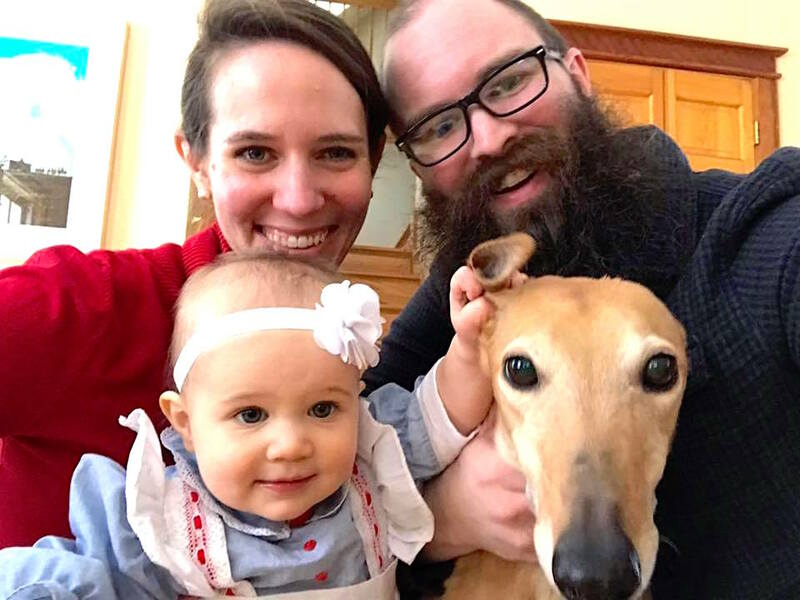 It keeps us on track and I find that Babywoods and Frugal Hound both thrive on routine. They know what to expect, what’s expected of them, and it creates security and contentment in the home. I also firmly believe that planning ahead is a crucial ingredient of successful frugality. Our routine also eliminates last minute mad dashing or frenzied evenings (we still have those sometimes, but for the most part, our chores and routines are on autopilot). For example, Mr. FW always gets Babywoods out of her crib in the morning and then he always takes the dog out and makes breakfast. We do have our spontaneous moments–like a last minute decision one morning last week to take a day trip to a thrift store and a brewery–but generally, we do the same things on the same days each week. This schedule allows me to plan when I’ll write and manage my deadlines. 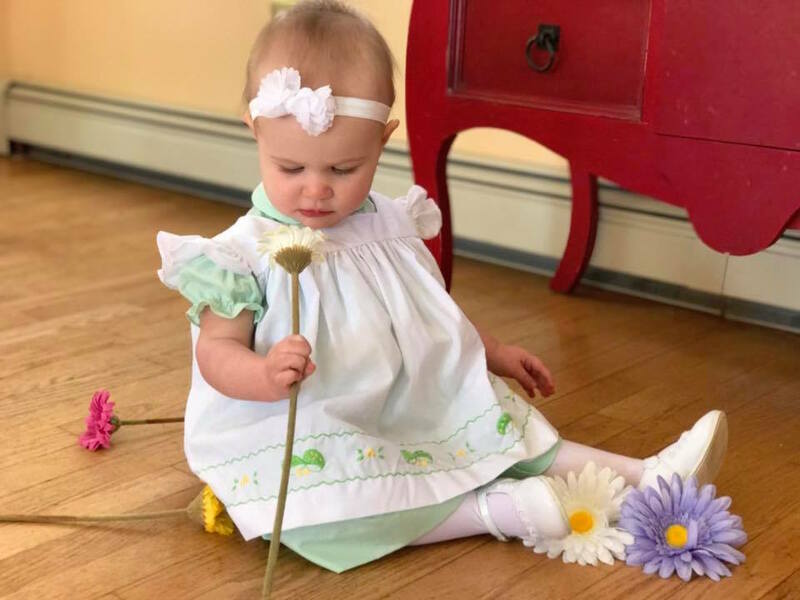 It also ensures that Babywoods gets plenty of socialization with other toddlers–we attend weekly play groups and host friends several days a week at our house. 6) The knowledge that work makes me a better parent. I never feel guilty about doing my work because it makes me a better parent. By having an outlet for my creativity and interests–separate and independent from my child–I am able to care for her with more energy and enthusiasm. My work reduces my stress and makes me slower to anger–it builds my confidence and it gives me something exciting to mull over while I’m in the midst of washing off her highchair for the fifth time in a day. I need this outlet in addition to the rewards of parenting, which is why this format is perfect for me. One of the reasons I quit my conventional 9-to-5 office job is that I disliked sitting in a cubicle at a computer all day long. I run out of ideas, I get depressed, and my productively plummets if I’m stuck in one place for too long. With my current schedule, my days have tremendous diversity, which is what I’ve always craved. Another element of our parenting philosophy is encouraging independent play. Since birth, we’ve encouraged Babywoods to entertain herself with us nearby. As a curious 17-month-old, she adores inspecting every corner of every room and dragging toys around to new and different locations. She entertains herself well and puzzles through how to use complex toys on her own. This does not happen 100% of the time and she’ll come get us if she needs help or wants us to read her a book. But, she understands that playing alone is a good thing and that it allows her to freely explore. For this reason, we fully babyproofed all of the main rooms of our house. Even so, we never leave her alone–we’re always nearby, just not necessarily down on the floor directing her play. What we hope is that this will engender independence, confidence, and resiliency in our daughter. 8) Set yourself up for success and know your limits. I do not work a 40-hour week and I don’t expect to. Working full-time while caring for a kid full-time is probably not going to happen and expecting to do so will lead to gnashing of teeth and dismay. I also find that some weeks I get more done than other weeks. Sometimes Babywoods skips naps. Or is sick and wants to nap on me. Or we have tons of places to go and people to see. Since I’m a freelancer and since I mostly work for myself (with a few external clients), my work schedule is entirely flexible. I have a list of things I need to do every month and sometimes, I get most of it done in the first two weeks of the month because I know I won’t get much done in the later part of the month. It’s also true that my child comes first and so I sometimes turn down projects that I know I won’t be able to complete and still devote as much attention to my daughter as I prefer. As an entrepreneur and self-employed person, you have to be ruthless in how you structure, price, and calibrate your work. 9) Embrace imperfection. A LOT of imperfection. Despite all my planning, scheduling, and routine-following, sometimes everything blows up and our days are a hot mess. That’s the nature of life with a child. Accepting imperfection in every facet of my life has granted me peace. I don’t–or at least, I try really hard not to–stress out when nothing goes to plan. This is also why I like to get tons of work done when the getting is good. I’ve been known to write an entire week’s worth of posts during a single naptime because: 1) I was on a roll, and 2) Babywoods took a long nap! This is why I love my editorial calendar–when I finish all my tasks for one week, I just move on to the next week. 10) Lean into the phase of life you’re in. I do my best not to militate against the phase of life we find ourselves in. For example, we do not take Babywoods out to restaurants for dinner. Why? Because that would not be setting ourselves up for success. She goes to bed early, she eats dinner early, and dining out at dinnertime is a terrible idea (although lunchtime totally works for her). I find a lot of liberation in fully immersing myself in the developmental stage she’s in because it changes so quickly. For example, I don’t expect her to be able to read right now, but I do expect her to follow simple directions. Soon enough, she’ll be a teenager and won’t even want to hang out with us, so I embrace and enjoy my time with her. Right now, in this phase of life, I’m primarily a parent. Thus, there’s some stuff I choose not to do because it wouldn’t work harmoniously with our schedule. But I don’t stress out because I know that in a few years, it’ll work just great! If you’re already a parent, you’re probably quite familiar with the axiom of accepting any and all help (and hand-me-downs!) that come your way. I live by this philosophy and I try to offer my help in return when I’m able. This ethos also permeates our community-centered life here in rural Vermont. As I’ve shared previously, one of my wonderful neighbors comes over for a few hours every week to watch Babywoods for us–free of charge. She doesn’t have grandchildren yet and so Babywoods–along with her partner in crime, a nine-year-old girl from down the road–treat Babywoods like part of their extended, unrelated family. It’s the most wonderful thing in the world and I’m filled with gratitude every time they come over. The common thread running through all the decisions I make–from how I spend my money to how I use my time to how we structure our family life–is that I prioritize what matters most to me. Having immaculate hair and clothes and makeup does not matter to me and so I spend very little time getting ready in the morning (anyone who has ever come over to my house can attest to this… ). Having a clean home, however, is a great deal more important to me, so I spend some time cleaning every day. In all honesty, I’d get more work done if I cleaned less, but I love the process and result of cleaning, so it’s a trade-off I’m willing to make. We don’t need a lot of stuff and so we spend very little of our time running errands or shopping. Hiking, on the other hand, is a staple of my everyday routine. There is no one right answer for everyone on how to use your time or your money because everyone’s priorities are different. However, before embracing the extreme frugality lifestyle, I found that far too often, I was doing the things I thought I was supposed to do. That I thought society expected me to do as opposed to what I wanted to do with my life. By eliminating everything that’s unimportant to me, I’ve been able to whittle down the list of tasks I have to complete on a daily basis. If you’re expecting a baby, or in the midst of a childcare arrangement that’s not working out for you, consider if the work-from-home model might help alleviate some of the time and money burdens you’re facing. Finding remote work isn’t impossible and, if you can reduce your expenses and live on less, you can afford to take a lower paying job with fewer hours. That’s the beautiful circle of frugality: the less you spend, the more you save, and the less you need to earn. As we discussed last week, frugality gives you options. It opens up possibilities that our mainstream culture tells us don’t exist. But I’m here to tell you that they very much do. What’s your childcare/work arrangement? Has frugality enabled you to pursue an unusual, third way? First, I love the honesty here! Despite all the thought, planning and scheduling, things can end up a ‘hot mess’. That is so true, we have 5 kids and have seen our share of hot messes. Frugality allows my wife to stay home with our children. Her personality would not be one to try to work and raise the kids, it’s simply not her. (As you state, it’s different for everyone). So we are so lucky that frugality can let us support 7 people and still save! As a father 4 weeks in to caring for a child I wish I had this advice earlier. 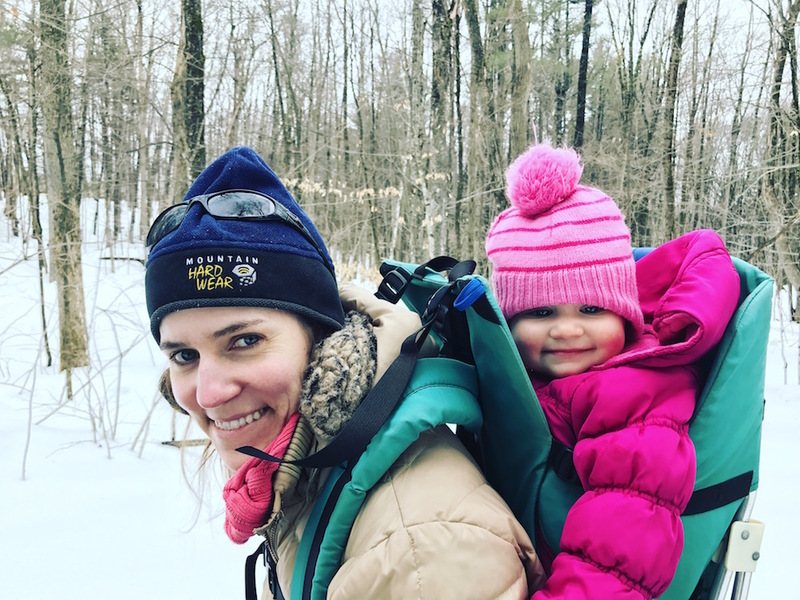 Letting go and prioritizing are so important, but I love how you insist on layering parenting on top of your lofe, not supplanting your life with parenting. Thanks! I love Mrs. Frugalwoods’s advice too. I always have a hard time getting go since I want everything to be under my control. But I’m starting to realize planning is different from controlling. This realization has also helped our marriage too. Thank you for this. Your posts are always so well-written and thoughtful. My wife is doing something similar. I will point out though that a lot of the ability here is child dependent. Our first child didn’t nap well and will not play on his own. It’s part of his temperament and when he was home no one can get work done. He’s five and goes to a public preschool for six hours a day at this point. My youngest is on a schedule. At two he still takes a one to two hour nap and is often content to self play. I guess what I’m saying is a lot depends on the kid. Thank you pointing this out. I think it can be hard for people who have kids who sleep well and play independently to understand that not all kids have that temperament. Thank you for mentioning, I think the only caveat missing in this excellent article is that it is highly child dependent. My first was not a sleeper, neither night nor in the day. Apart from not having any time in the day, I also had no energy from constantly broken sleep. My second is totally different, responds very predictably and I started working from home by the time she was 3 months. We had every book and expert try to help with my first, but truly sometimes it is just the child. It definitely depends on the kid! Our first was a non-sleeper too and there is just no way to work around that. We tried everything, every book, every method someone suggested but to no avail. She just didn’t need sleep (and at 11, still needs less than other kids). Our second is like Babywoods though in terms of routine naps and early bedtime, and I tend to think that that’s more the norm (or at least I hope so!). You can totally work around a kid like that. Oh gosh yes. We have worked so hard to get our child to sleep through the night and now at 2 she finally does… about 75% of the time. As a newborn she only would sleep on me during the day. It was the hardest thing I have ever dealt with. So true. When I finally got my daughter to nap in her cot and for decent periods of time I was getting so much done. Then at 12 months she started to transition to 1 nap and suddenly my 2.5 hours of work time a day dropped to as low as 45 minutes a day. I got desperate for daycare at that point because I just couldn’t manage to work and be a full time carer, especially because she can play independently very well, until she sees me at the computer! Avocado is actually good for your hair, so there’s that, at least. You are very fortunate in your work (as you said) but luck only gets you so far–you work hard as a freelancer to keep those opportunities open. Glad to hear that avocado is doing me some good ;)!! Great post and I applaud you for not trying to do 2 things at once. I’m a 50-something who did not have work from home options when my kids were pre-schoolers (it was even pre “telecommuting” which is a word no one uses any more). I work in the tech world and most of my coworkers are men 10-20 years younger than me — we work a typical 8-5 sched (plus on-call, but that’s a diff story). I have to admit how shocked how many of them parent and work at the the same time. I’ve been on numerous conf calls where preschool children/babies are screaming in the background. I’m also surprised how it goes unaddressed by our management. I’m all for work/life balance, but when your job is a hard 9-5, it’s my belief that if your child is young enough to need supervision, they should be….supervised. I know I sound like an old curmudgeon, but I’m still surprised when parents opt to skip childcare/daycamp costs for well known in advance school breaks and work from home while the kids are just stuck in front of TVs while their parents work in the basement. From an experience where I saved PTO for those times or put kids in childcare/camp, it seems very strange to me. It’s just weird. As a former home child care provider, I can say with all honesty, planning ahead is just not apparent to some working parents! Breaks, teacher work days, Illness and snow days, over the years I have seen parents freak out! I have had calls asking what time does school open? What time is dismissal? When does summer break start! Planning, being organized is essential if you want to have a happy, healthy family. Interesting comments about the conference calls. I had a coworker who worked from home with her kids underfoot, and she would occasionally be on a conference call with kids being kids in the background, or even be distracted dealing with them in the middle of the call. Unfortunately for her, management and colleagues did notice. It was seen as unprofessional and annoying – disrespectful to her busy colleagues keeping them waiting while she attended to her kids or subjecting them to the distracting background noise. I guess it depends how many conference calls you have to be on while you work from home?? I also agree with above comments – the natures of some kids will allow for this type of arrangement, other kids… not-so-much. But if you can make it work successfully, good for you! For me personally, I do 98% of my calls while Mr. FW watches Babywoods–it is really tough to be on a call with her in the background. When she was tiny, she’d sleep/nurse on me during calls, which was fine, but now that she’s an active toddler, I can’t do calls with her (except in rare circumstances where I absolutely have to and then we make it work. She once sat on my lap during a Skype video chat, which actually totally worked 😉 ). I wish I had read more blogs like this while I was pregnant! I manage a remote team from home for a large global corporation that has afforded me lots of flexibility but now as a thirty four year old first time mom with a two month old getting ready to go back to work I am realizing that my original plan to work from home with my baby was a bit naive and none of my working mom friends or colleagues had the heart to tell me so I am suffering the shock of forfeiting one third of my income to childcare along with the anxiety of placing my child in the care of strangers. I found an excellent childcare facility within a mile of my house that I know will be great for my daughter but I am now agonizing over my budget and trying to reconcile the feasibility of having another child before 40 (and before she’s starts kindergarten) with the exorbitant childcare costs. I like to write. I need to explore this freelance thing. I have the added burden of being the primary source of income. My husband does warehouse work. He just graduated with a BFA in Photography and is working on building his website to build his passion as a supplementary source of income. Thank you for sharing your routine!!! I’m starting a remote job in two weeks and I’m so excited to be leaving my cubicle. 🙂 Once we have kids, I don’t think I’ll be able to do my standard 9 to 5 hours at home, so we may still opt for daycare. I do like daycare because it taught me as a kid how to be independent and make friends. 🙂 But yes, it’s expeeeeensive! Hopefully one day I can freelance full time and have a more flexible schedule, but we’ll see what the future holds. For now, I think daycare would be the best option for us. I’ve balanced working from home whIle parenting and these are great suggestions. I’ll echo the other commenter that the ease of such arrangements is definitely impacted by the temperament and stage of life of the child. I’ve also found that I struggle with guilt and judging myself if I don’t accomplish as much as I planned during nap time. I’m trying to embrace that sometimes it’s okay to be still and read a book or zone out on my phone for 20 minutes or fold laundey while watching an old episode of Golden Girls if that’s what I need to do to recharge for an afternoon with an active two year old. Oh the guilt! 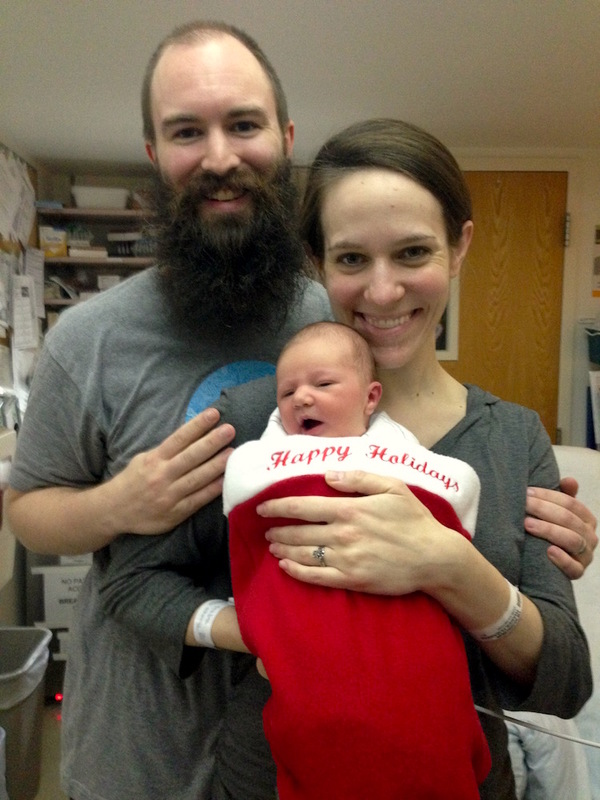 My husband and I did not complete a movie together until our son was 11.5 months old…. I just couldn’t justify it against all the other stuff I needed to do. It’s a hard line to walk and I am forever calling my mummy to see what she thinks ! A good article, fantastic suggestions, and I’m so glad to see the absolute lack of judgment. I stayed at home for three years with our two kids, but when the youngest was seven months old, finances forced me back to work. I’ve faced the “what kind of mom puts her kids in daycare” judging and the “what kind of woman gives up her life to be stuck at home with kids” judging, and neither is fair nor helpful. Planning is a huge part of parenting — even as a SAHM, I planned my housework, baking (bread) days, laundry days, and extra chores like window cleaning, because otherwise, none of it would get done. Once I went back to work, the planning was just cranked up a notch or two. And we still had “hot mess” days — head lice, a child left the big school project due that day at home, illnesses, and broken arms. The good news is now I get to look back on those days and laugh. And help my kids with their kids when THEY have those days. Planning is so vital!!! And, I hear ya on the judgement of women–either way, apparently, we lose, which is why I’m adamant in advocating for a “do what YOU want to do” philosophy. Thank you for sharing! Since becoming a parent, I have removed all judgement from people’s parenting choices. I’ve learned that you should do what is right for your family and your family alone. I had no doubt that you two would get the hang of this parenting thing, no problem! Thank you so much! Yes, nothing upped my empathy and lack of judgement like having a child!!! I worked from home as a freelancer after the birth of my first child, until the day my second child was born, using many of the strategies and structures you suggest. Getting housework, eating, and showering done during baby’s waking hours was huge. With two little ones I knew it was going to be too much for me, and having low expenses compared to our income allowed us to forego a second income for this season. I am very grateful for this because I know personally, I’d be very stressed out by trying to work with these two in the mix! I still get to write here and there, but without too many deadlines, and use free time more for volunteering and family recreation. It’s so important what you say about accepting each season and the constant changes that come with parenting. Tsk. *Mrs Frugalwoods even. I guess Siri doesn’t recognise the name Frugalwoods?! Haha, I like “Mrs. through the woods” ;). We are big on the idea of family dinner–Mr. FW and I both grew up eating dinner with our families every night. We will certainly transition to that as she gets older. As it is, she loves her 5pm dinner and we’re there hanging out with her in the kitchen while she eats, so still a family event in that sense :). This only works if your child naps. My son rarely napped more than 50 minutes at a time. And he switched to one, no more than one hour, nap at 1 year. Ane, my granddaughter didn’t nap either. She is now 7 years old and still wakes up about 5:00 each morning. Sleep is not on her agenda! My daughter has been exhausted for the past 7 years. She returned to a full-time job since her child was 5 years old. She admits it’s very hard. Wishing you luck with your child.. I do love Mrs. Frugalwoods posts and positive energy. this is a great post. every baby is different so it’s important to realize that. You are lucky in that you can work, your husband is on board and supports the arrangement, and you only have to work as much as you want, not as much as you need–but you are also aware of your luck and don’t take it for granted. In our family, we have a great system too that we are lucky to have. My mom watches our son in exchange for a free place of living. She currently lives with us in our small home but we do plan to buy another small home nearby in the next year or two (we live in an area where a $120k home is easy to come by) so she can have more privacy and space but still be able to watch our son. This is a blessing in so many ways because he still gets exposure to germs (hello pets!) but he gets sick less and if he does fall ill, I don’t have to take off of work unless I want to (I prefer to save my sick days if “Mimi” gets sick, which luckily is not often). My mom also CHOSE this arrangement–we did not make her do it. Not a lot of grandparents would be up for such arrangement, but my mom being a single mom without a lot of retirement savings and a desire for a cute grandchild was happy to do this as we are helping her (we pay for her her room and board so she only pays for her car expenses, medicare expenses, and fun things–my brother covers her cell phone), while she helps us by saving us upwards of $1,200 or more a month in child care costs. Again, not every one can, or wants to do this arrangement, but I’m so happy to have it. Another big reason I wanted grandparent childcare–I never had a close relationship with any of my grandparents, so I was big on this for my son. I want to be sure that he has that close grandparent relationship that I did not have (my husband did have that close relationship himself–his grandmother lived in his home’s basement apartment–so he understands the importance). What a wonderful situation! Such a blessing for you, your kiddo, your mom–sounds like a win all around :)!! I just wrote about this very topic on my own blog: how to make time for creative work while doing the at-home parent thing. This post is so timely for me and I know will resonate with so many of my readers. I plan to share! Thanks for a great read and for all your thoughtful advice. This is a great post and points out many of the unique qualities of the FW situation. Yes, it is unique, but it’s also because you made conscious choices to prioritize and then found ways to make your life work the way you want. My husband started working from home as a steel salesman when our first child was born. We decided I would stay at home when she was born, and then, thankfully, my former boss allowed me to work from home 10 hours per week. Over time, as I learned how to manage motherhood and working, I was able to increase the hours gradually so that by my fourth child I was able to work 30 hours per week (flexible hours!). I also finished my doctoral dissertation during that time (it was very helpful that the doctorate tied in with my work at a university research center). I can’t believe how fortunate we have been to structure our work lives around family, but choices were made. My husband turned down some advancement opportunities that would have required him to be in the office. Less money and less stress is definitely worth more family time. Frugality allows that choice to be made. We love your blog! Keep up the great work. Great post! Lots of practical tips here. I’m at home with 2 kiddos and do some work at home as well. It’s been a challenge for me to create the kind of boundaries you outline because I’m kind-of routine-averse. It’s inspirational to see your laser precision! Also 100% agree that turning down work that isn’t a fit for you/your family is SUPER important! Then, I got a full-time mostly WFH job. Did that for a little over 1 1/2 years…until baby #3 came along! I won’t lie, it was tough even before baby #3 because working from home with two toddlers is exactly as it sounds- a nightmare. They went to preschool in the mornings so I was good then, but that afternoons were a bit too chaotic for my liking. Now, three kiddos in tow. My older two (ages 4 and 3) still do morning preschool. My baby (6 months) stays with me full-time and I LOVE IT!! We are having so much fun! I blog part-time; when something needs to get done, I always make it work. I love what you said about how you make time for what you want to do. Right now, I’m sort of in a phase where I’m really enjoying going to the gym, meeting with friends for playdates, and decluttering my house. The blog has taken a slight backseat, but it’s still definitely a priority! Your arrangement sounds perfect!! And just like you said, you’ll change it up as you need to! Best of luck, Mrs. Frugalwoods!!! Thank you for sharing this! I love how you’ve adapted to each new baby and shift in schedule. Flexibility is the only constant with kids :)!! This is such awesome advice! Absolutely love the part about prepping in advance of nap time so you can hit the ground running when Baby Frugalwoods sleeps. I currently work outside of the home but typically work from home a couple of days a week. Hubby is a pastor so he works from home a lot as well. We have an 11 month old who was a micro preemie (he was born at 25 weeks) that I am fiercely protective of and do not want to put in daycare. Between the two of us and a little help from family we are making it work without day care- been there done that with two older children who are now in elementary school (day care was more than our mortgage at the time). I have an impending job loss next spring and know that I will have difficulty finding a job with the same flexibility. Currently trying to figure out if I can grow my small business and freelance from home once the job ends while taking care of the baby. This post gives me a lot of hope! You’re doing really well. It’s awesome that you can work at home with a baby. I quit working full time when our kid was 18 months old. I worked when he napped and after he went to bed. The napping didn’t last long for us, though. He stopped napping when he was 2 years old. It was harder to work at home after that, but soon he started preschool. That really helped. Keep at it! This is very timely for me, because I was recently laid off with young children. Frugality has given me the gift of being able to look at this as an opportunity to remake my time in a way that works better. So far that is looking like part-time work, largely from home, so that I can spend more time with them. I don’t have kiddos but I wanted to drop in and say your baby is absolutely adorable. That smile is so genuine, she looks like such a happy baby!! Bless! Ditto. 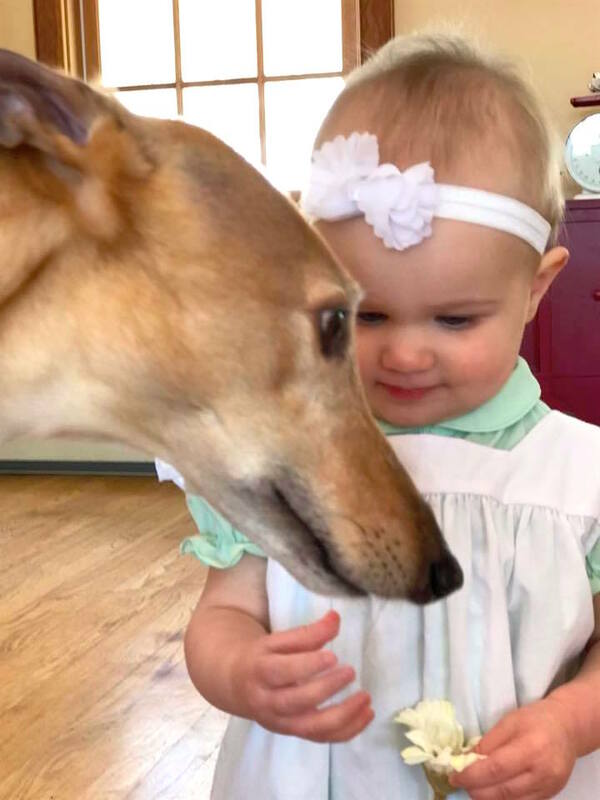 I love the combination of Babywoods and Frugal Hound – such an innocent, joyful pair! It’s great you’re thinking about this before getting pregnant! And wonderful that you’re building up your freelance work now. All my best to you and I hope you get that positive test soon :)!! Your previous baby-related posts were very helpful in reassuring me that procreating won’t necessarily demolish our savings rate. Basically, thank you for addressing all of my getting-pregnant-related anxieties! As a longtime reader, I knew you guys would still be “you” post-baby! So glad you are making it work! As a single parent with 50% custody of school-age children, I have different strategies. I work full late days when my boys are with their dad. When they are with me, I try to pick up school-day shifts. I can often score a nice 10-2 job, or maybe half fa day of substitute teaching. I am hoping to find a more permanent gig, which might mean needing more after-care, but for now being able to pick them up from school is priceless. I did nearly exactly this for JuggerBaby’s first year at home! I love that you’re sharing it because I do see so many people only have, or see, two options and this is a rather wonderful third option. I was exhausted mainly because my health is bad but I remain so grateful that I got to spend so much time working my job and still spend quality time with our kiddo. When ze needed more social activity and socialization with others, and zir energy outstripped my limited stores, we transitioned to a part time daycare schedule and that was pretty awesome too. I shared this in detail in this mini-series here (http://agaishanlife.com/2016/03/a-day-in-the-life-working-mom-with-childcare/), but we have since changed to yet another schedule. At 2, we’re down to one afternoon nap, long if we’re lucky, but I’ve been considering whether we can transition back to a work at home + kid at home schedule when JB is a little older and can do more self directed activities. It’s rather nice that they’re always growing and changing, you know that a transition can be right around the corner if you’re patient. Oh and I’ve learned to do everything along with baby. Slings and carriers for dishes and chores and showers together make life much more efficient. It sounds like you also have a wonderful set up to get Baby Frugalwoods community time, SUCH an important thing to prioritize I believe. As a working-full-time-out-of-the-home mom-of-a-preschooler, I struggle a lot with trying to get everything I want to do done. I do prioritize my time but admit my downfall is putting everything I think “needs” to get done first, meaning I never get to the things I *want* to do. I would LOVE to see an actual schedule of you and Mr. FW’s routine. We live in what I’d call a homestead-lite, so I know that takes a fair amount of time, too. It’d be great to see your methods for fitting everything in! Hi Dori! I have this post from last summer which outlines a typical day for us and is still fairly accurate, although Babywoods is down to two naps as opposed to three. Hope this helps :)! I’ve been a full-time stay at home mom for 14 years, and a homeschooling mom for almost 10 years. The only thing I’ve “lost” in any of it is any further idea of what I want to “be” when they’re done growing up – my previous profession was sort of decimated by lots of corporations merging into larger corporations then doing a lot of outsourcing. I’ll be 57 (had kids late) when the last one is done with high school. Maybe I’ll go back to school then myself, LOL. Husband says not to worry, that I’ll never “have” to work, but at very least I’ll have to volunteer somewhere. I was a home birth midwife from the time my 4th baby was 2 months old until my 10th was a year old, at which time I went back into nursing full time due to my husband’s disabilities. Monday was clinic day at my house or my partners and the kids all played or did school together, often with client’s children. We also home schooled. I took my babies with me to births, and as they got older, our 2 oldest girls would come with us and watch them. We set up our full size vans as a play house or they would play in a quiet basement, and on one memorable occasion, had a fancy RV set up with food, movies, and all kinds of conveniences. Our big girls, adult now and with littles of their own (my partner’s girl married one of my sons) and they still talk about the fun they had. Thanks for linking to my site as an MLM resource. 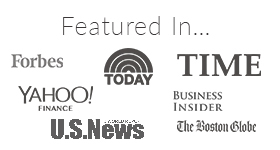 It might be better to link to my MLM category page, but I like to cover a lot of other personal finance stuff. Thanks for the update of the link. Please let me know if you’d like a guest post on MLM. I’m a FIRE blogger from 2006 and I saw people turning proper motivation into quicksand via MLM. I couldn’t turn a blind eye to a fraud where more than ~99.7% of people lost money. I’m happy to talk to anyone about MLM (I spend hours on it daily in the comments without compensation). Two of the main things that we agree with or follow in our household: 1) Stick to a routine (naps and bedtime mainly) and 2) routines will change. We felt like every time we got on a good routine with our son (now 3), it would change. How ironic, right?? This is a very interesting topic. I have worked with some co workers who gave me grief because I didn’t want to travel all the time because my wife worked and we had kids at home. At the time they had no kids and one girl told me I was crazy and my wife could “just watch them?” That isn’t easy with daycare and full time demanding jobs. She had an ooops kid with her boyfriend, now husband, and no longer travels at all. Only one kid, yet insists nothing has changed since she had her kid??? I find we lived very low key lives and I never once for a second pretended that we would have the same life after kids. I eagerly looked forward to my life changing. Wow, having kids is sure great for frugality. We now have free entertainment at home ALL THE TIME. I love my kids and couldn’t ask for anything else. My wife stays at home with them and has no interest in writing, and I’ll be retiring soon at 41, and can’t wait to join her. If you have an attitude that kids will ad to your life, and you don’t live a spendy rockstar style life to begin with, I think kids are the perfect recipe for frugal people. Great tax deductions, free entertainment, and they cost next to nothing. I work better under time constraints, as well. I love that you keep nap time sacred for writing. It’s so important to have calm, focused time for our own pursuits each day! I’m really glad this has worked out so well for you- lots of good ideas here. I did want to echo what some of the other parents have said: this depends so so so much on your child. If you have an extremely high needs baby who doesn’t sleep well at night and doesn’t nap well (and some babies just do not sleep well no matter how hard their parents try to teach good sleep habits), the sleep deprivation and exhaustion is going to colour everything. And high needs babies often grow into toddlers and preschoolers who still need more parental attention and support than you would expect and drop their naps early and don’t cope well in pre-school, etc. And when the kid is sleeping you are so shell shocked and exhausted it is all you can do to get through the day. If I had read a post like this when my son was little and I was trying desperately to get him on a routine so I could write a PhD dissertation during naps and after bedtime, it would have made me feel like I was a failure because I wasn’t able to make it work. There were lots of caveats in your article but I think you could have better acknowledged that a major factor in this approach is the personality of the child and having a child who doesn’t nap or play independently for long stretches of time is not the fault of the parents. My arrangement is certainly unusual for most – I work full time outside of the home all day in a demanding job, and my husband is a stay at home dad. I love your points about doing what works, and how that can change over time. As the mom of three boys, ages 13, 9, and 2, I can tell you for a fact that baby vs. toddler vs. preschool vs. elementary vs. middle school needs are all very different. Right now my husband stays at home, does all the childcare and home chores, which frees me up to work without guilt. I can go on business trips, work late, or go to an early meeting without worrying about the boys. Other times since we had our kids, we’ve both worked full time in opposing shifts or had him work part time early mornings. We’ve never had to rely on outside childcare except for a few months after my husband almost died of septic shock and was unable to care for our boys (ages 8 and 4 back then). I have two kids, ages 6 and 3. I stayed home for the first 18 months with the first kid, then went back full time and my husband stayed home for a year. Then we started the whole daycare thing. Then my second was born and I cut back to 3 days per week, which was nice. But then my employer said I needed to be full time or nothing, so I’m back to full time with kids in full time school/ daycare. BUT, I am taking a severance package as of June and I will be staying home again. I’m hoping to find some sort of work from home arrangement. I need to figure out how to spin my skills into freelance gigs. I’m glad we’re frugal, so I’m not worried about money in the short term and I can take some time and figure it out. However, since we are NOT financially independent, I will feel more comfortable if I am earning at least some money. I don’t have kids yet, but this gives me hope. I feel like I’m surrounded by resignation to double-income-children-in-daycare, and it really doesn’t excite me. 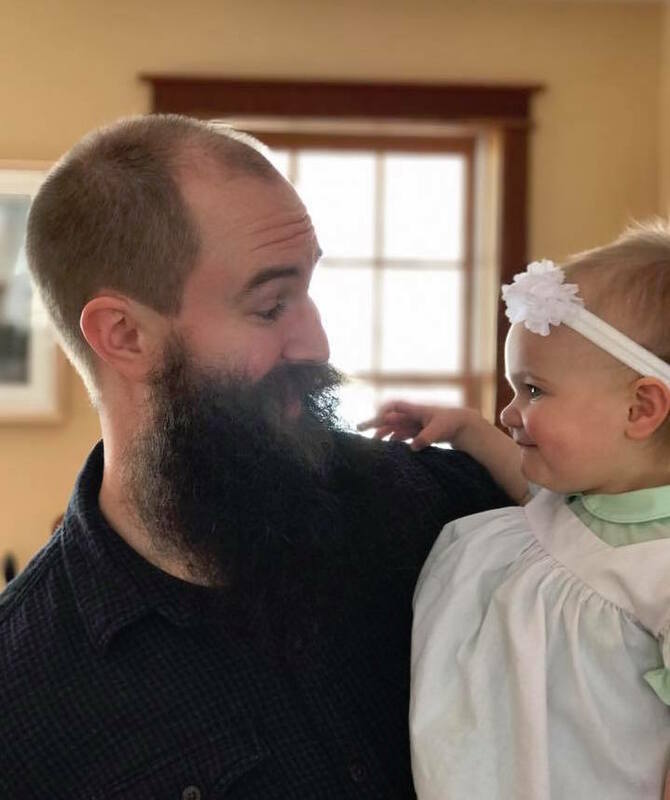 My husband would love to retire/semi-retire early and be the stay-at-home parent, and it’s lovely to hear how you make your situation work. I totally agree that routine is so helpful, even before you have kids. We get up at about 5:30 every morning and have coffee together because my hubby works 7-3 (mostly to avoid traffic). Having that routine really kicks my day off to a good start, and it feels like I have all this extra time in the morning that everyone misses out on! Good point about standard baby advice. I had 3 kids and worked full time. First 2 kids were 3 years about. I Nursed each about 11 months. Since I went to work at 5:00 am, kids were dropped off at sitter before dawn. My third child was born 12 years later (yes more than a decade apart from first 2 babies). He was not standard by any means. I was fortunate to be home with him for the first 4 months but he did not like sleeping. He was 2 years old before he started sleeping through the night. All babies are different and looking back I realize those hardest of times were the best also! Wow, I felt like you were describing my life – minus the homestead 🙂 ! I have a 2.5 year-old and was lucky enough to be able to quit my job after my maternity leave and start working for my husband’s small business from home about 2.5 days a week. My toddler still naps for 2 hours a day, and I really use that time to get a lot done. My mother also babysits one or two days a week so I can work. I never liked having to sit in a cubicle all day, 5 days a week, and also felt that it stifled my creativity. I feel so much freer now, and am working on some writing projects at night after I put my son to bed (also at 6:30 🙂 ). Routines have always worked really well for me, too, and I feel that I am so much more productive (and mentally sane) because of them. Thanks for sharing your routine! That’s wonderful! I’m so happy for you! 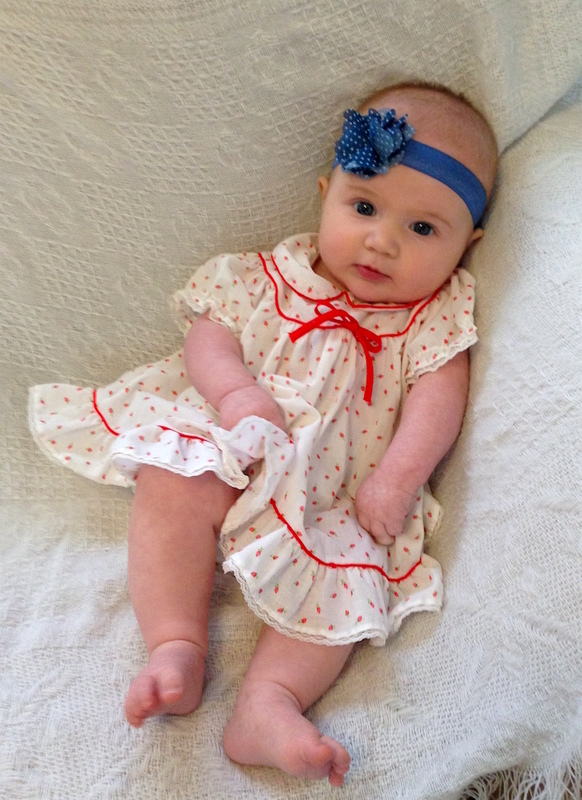 Babywoods is hilarious with yoga too–she thinks it’s a great chance to climb all over me. But I do think she’s picking up on some of it–she downward dogs all over the place :). I so admire how you organize your time and that working from home works for you! My sweet boys gave up naps at around 24 months (both of them) and from then on, I had no time in the day from which to accomplish tasks (or no uninterrupted time, that is). But that’s my story. I think ruthless prioritization and organization would have definitely helped, as would more sleep! Luckily both boys are in school now, which is great for them (learning and friends) and me (time to concentrate). Your organizational skills and routine are an inspiration, I have to say! Just curious: what time does Baby woods usually wake up in the morning (after going to bed at 6:30)? She wakes up at 7am most days, sometimes as early as 6:45, sometimes as late as 7:30am, but she’s pretty regular with her 7am wakeup. I think she’s just a kid who needs a lot of sleep! We feel very, very fortunate that this is the case :). The book we followed on sleep habits (linked to in the post) is how we implemented her sleep schedule, though again, individual to the child as to whether or not they take to it! Oh my goodness. I cannot imagine. Our daughter would go to bed around 10:00 p.m., wake up at least twice to feed during the night, need to be rocked back to sleep after she ate since she was not a self-soother, and then be up again between by 7:00 a.m. A few times when she was little and sick she fell asleep around 7:30 p.m. and I felt like I had a vacation. She would often nap for 45 minutes at a time. About the time I was able to decompress and even start thinking about doing something, she would wake up. We had to stop naps around a year and a half because she would be up until all hours if we let her nap. Sleep deprivation is a torture tool and there is a reason for that. I cannot imagine how different our first few years of parenting and work would have been if we had a child who went to bed at 6:30 and slept 12 hours. I can’t even wrap my brain around it. While it is a privilege that you have reached financial independence, you worked very hard to reach that. It is inspiring. I love what you said about “leaning in” to the phase of life that you are in. I live with my boyfriend ( and have for 3 years), but he went back to school for engineering. I graduated a few years ago with my masters, so I often feel like I should be engaged/married/owning a home/blah blah blah, but that’s not where I am yet and that’s okay. I also commend you for not dragging baby woods to dinner dates. I always feel sorry for kids who are screaming or getting screamed AT in Target at 2:00 in the afternoon while their moms are trying to shop. Its obvious they are sleepy and need a nap, what do you expect them to do! I cry when I’m tired and am an “adult”! You and your husband are so inspiring for me as I (one of the Dukes) grow into full out adulthood. You both show how partners on the same mindset can achieve so much in their life, adapt how they need to, and still enjoy financial independence. Thank you so much for sharing as we Build Our Kingdoms, we are so with your philosophy on helping to enrich knowledge, but letting others take it, disregard it, or use it how they want for their lives. Thanks for this article. I am pregnant with our first and we’re definitely in the fear mongering stage. However, I’ve discovered that the “wait til you’re pregnant” scares were not really true for me either. Sure, my productivity has gone down a bit, but I don’t weigh 500 pounds and I can still do garden work and have a non-emotional conversation with my husband. So there’s that. Every now and again we meet parents who claim that there is life after baby. It’s so refreshing. Thanks! Beautifully written as always! I’ve worked with both of my kids when they were babies. 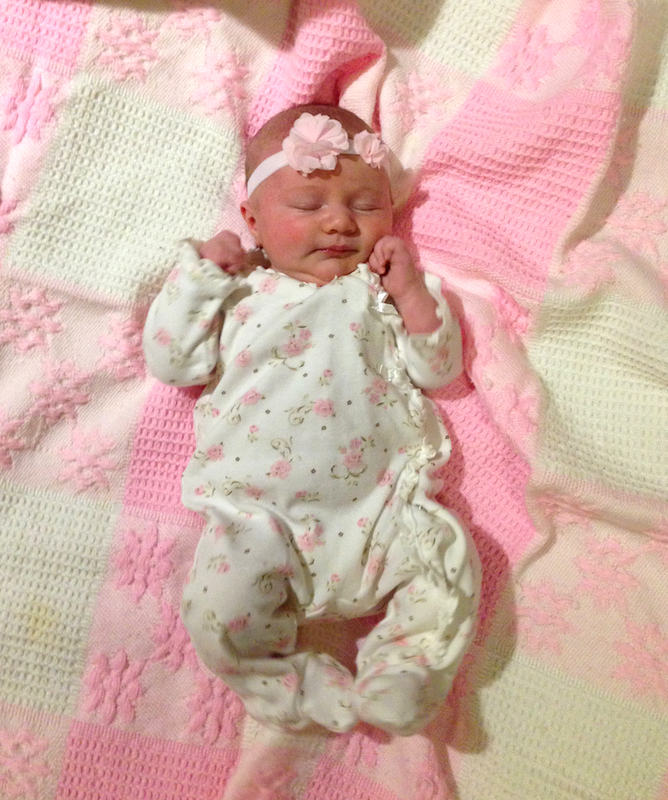 I did a lot of 5 am or 2 am writing to make it work because my first born would never sleep! Seing every stage of life as a season of life sure helps to keep things into perspective. Great post. It looks as though you have created a wonderful and balanced life. You should be proud of the effort and forethought you have put into to making it work. Nice to see a mention of Magda Gerber too. Love her work. Thanks so much for recommending my course in this post – I really appreciate it. I am in awe of you every day. I think you’re doing an amazing job!! Mrs. Frugalwoods, you have planned yourself into what seems to be many mothers’ ideal. Everything changes after having a baby, including priorities in life and attitudes toward work. With so many women the answer is black or white, full time work or stay at home mom (with such a stigma). As a long time reader, I’m glad you’ve found a fulfilling mix of family and work. I’ve often fantasized about every workplace having a daycare on site, and perhaps moms could rotate to help watch the children. What do you think? Will this solve all the feminist working mothers’ problems? Location location location !! My husband and I are both academics, and our home, campus, and daycare are all within a 15 minute walk of each other. It means kiddo can be at daycare on the days we both teach, and two days a week he’s home with one of us and we can easily switch off midday. Our convenient location means we only need part time daycare and one car. The trade-off, of course, is working in the evenings, but it’s well worth it. This “third way” is what I am able to do, with TWO kids, no less, partly due to our frugality, and mostly to some pretty extreme luck in being offered a part-time 10 hour a week (or less if I need, or more if I can) job that is really flexible (I set the hours but not always the deadlines). Our days are very imperfect with two kids that 1) get sick and 2) don’t always sleep at the same time. But we still manage! Our biggest challenge is sleep. My older son doesn’t sleep well, and never has (and yes, I’ve read the book Mrs. FW linked to and many many others, visited sleep consultants, a sleep specialist, done a sleep study, etc., all with zero answers). This leaves my husband and I both with little energy for one another or ourselves when I have to work at night. Not trying to be negative about this arrangement because I think it works alright still, however imperfect our days are, and I find the personal fulfillment of having work of my own absolutely worth it, but I also wanted to mention a downside I have found. Would you mind giving a detailed timeline for your day? For example, you mentioned Mr.FrugalWoods doing breakfast. Do you get up well before this time and therefore it allows you a good chunk of uninterrupted work time? Or, how long does BabyWoods sleep? Etc. For me, the hardest part of working from home (writing as well) is finding the long uninterrupted periods. I mean, nap is fine, but when one day it is 30 minutes, another day it’s 2 hours and the next it’s 40 minutes, it is so hard to convince myself to sit down and work since Lord knows I can’t produce anything good in only 15 minutes! My advice may not seem germane since I don’t have kids, but I do have a very busy schedule (professor with a lot of administrative duties) and an autoimmune disease that can flare up unexpectedly, although of course at the worst times. I was getting incredibly down about how little progress I was making on my writing projects. That is, until I realized the magic of 15 minutes. Just like 15 minutes in cleaning my kitchen makes a world of difference, so, too, does 15 minutes on a writing project. If you know what you are going to write before you sit down, you can get an amazing amount of writing done in 15 minutes. (Conversely, I’ve found that after about two hours of writing, the returns diminish). For example, I’m finishing a book right now, and whether my writing session was 5 minutes (yes, 5 minutes) or an hour, I always take a few minutes to write down what I’m going to work on next. That way, I don’t have to spend any of that precious time reacquainting myself with the project at hand. The other thing I try to do is to touch my writing every day. Sometimes, it is literally touch–I spend five minutes with it. But that daily time provides a continuity and I find as I’m driving to work or cooking I’m thinking in the back of my head about aspects of my writing projects, problems and solutions. Again, since I don’t have kids, my thoughts here might not seem pertinent. However, I do have a colleague who has written 23 books and has seven kids (and teaches four classes a semester). She amazes me! Hi LeAnna: I totally agree with thalia! Babywoods’ naps range from 20 minutes – 2.5 hours and I never know what I’m going to get. That’s why I try to be 100% ready to sit down at my computer the minute she goes down for nap. I make my lunch in advance, I plan my writing projects in advance, and I even try to go to the restroom in advance! That way, I’m able to maximize whatever time I do have. I’m amazed at how much writing I can churn out in 20 minutes when I’m focused and truly working the entire time. That being said, some naps are more productive than others, but I give it my best shot by having really clear rules for myself around naptimes. And if you’re interested in our daily schedule, you can check out this post from last summer, which is still pretty accurate (except that Babywoods is down to just 2 naps now): A Day In The Life Of The Frugalwoods: Homestead Edition. I wish you all the very best :)! I think it’s soo important to still find time for yourself and your partner when your child is born. I’ve seen a lot of families who struggle with this and usually it doesn’t end well for no one. I also think that a lot of people have limiting mindsets, saying “I can’t do this or that when my child is born” instead of thinking of solutions or like in your case setting priorities. The thing I am looking forward to trying next is both parents at home, baby at daycare. It turns out spending all day with a toddler/pre-schooler is tough! Just have to find a way to make that happen logistically now..
Love the fact that you didn’t let the negativity settle in. People will tell you so many negative things about anything…whether it’s having a baby, starting a new job, starting your own business but the key is not to get stuck listening to them. But thanks for your insight about how you have made it work. Its truly encouraging. In response to your parenting myth #2: I will have to say, the older they get the less free time you have….well until they are old enough to WANT to play on their own and/or go to school. My son is 4.5 and demands all my attention. He is an only child so he constantly wants a playmate….which is usually me. Of course I have mommy guilt when I need to do laundry or make dinner or take a shower and he just goes and grabs the tablet until I’m done. Yes he plays by himself but not for long. I have found that before age one, it was easier to get things done (though I was more tired). Maybe its because we are only having one child and I don’t want to miss out on any stage in life (i know he won’t want to play with me forever), but sometimes i just want a minute to myself. I work full time too so the days I’m off i just want to spend time with my son. But then i have so much stuff to do around the house. I (slightly) envy stay at home parents though if I’m honest i could never do it. I would go crazy. So yes you can have free time with kids but i think it comes in stages and depends on how many kids you have and if you have help to watch them. Parenting is definitely harder than i expected but i wouldn’t change it for a minute! It all comes down to perspective and how you experienced your childhood. Parenting is the hardest and most rewarding job you will have. It is an honor and my life certainly would not be as wonderful without my kids. I just wish we could freeze time! Thanks for posting this Mrs Frugalwoods. I always wonder how people manage to work with a baby at home and if I’m doing something seriously wrong by not managing to get as much done as I want to. As soon as my 15 month old sees me at the computer she desperately wants to be on my lap and playing with the mouse. One of my tricks is that if I need to be on my computer while Babywoods is awake, I’ll stand up at the bar in the kitchen (with my laptop) so that the computer isn’t down at her level. This works pretty well since she’s not interested in what I’m doing up there. Thank you so much for writing this – your stance that you can (and DO) remain yourselves after baby comes along is so refreshing! We are eagerly awaiting our first (due Nov.) and plan on incorporating her into our active outdoor life as much as possible! Both my husband and I work from home full-time. He has an ultra flexible schedule with only 2 scheduled conference calls each week. He works quickly and often does not have to put in 40 hours. My worry is working around my schedule (and honestly, I think I’m only worried because this is something I have never done before). I only have 1 scheduled conference each week, but sometimes other meetings pop up. Even though I am supposed to work 40 hours per week on a somewhat “normal” schedule, I often only have to be available to respond to emails (not actively working on the computer). I have some flexibility, but not sure if I will have as much as my husband. Anyhow – I really hope we can make it work! I want to maintain ourselves and our love of being outside, be able to work from home and take good care of our daughter! Thank you for sharing some positive news! I really like this article! I came across it before I had my son 7 months ago amid a flurry of people telling me that ‘I would have no time to do anything’ once the baby arrived. My husband and I read this post and felt instantly better – finally someone who didn’t say that life will end post-kids! Now, 7 months on, I really agree that you can continue working towards your professional and personal goals with a baby. It just takes some team work and prioritization. I often come back and re-read your post as it’s so inspiring to see someone who is living the reality of being productive professionally, whilst at the same time caring for a baby. Thank you!